AV uno is an amplifier featuring an innovative circuitry called POD (Power On Demand); it provides at the final stage in AB class a dynamic power that serves as a tracker to the signal to be amplified so as to increase efficiency and reduce the temperature. 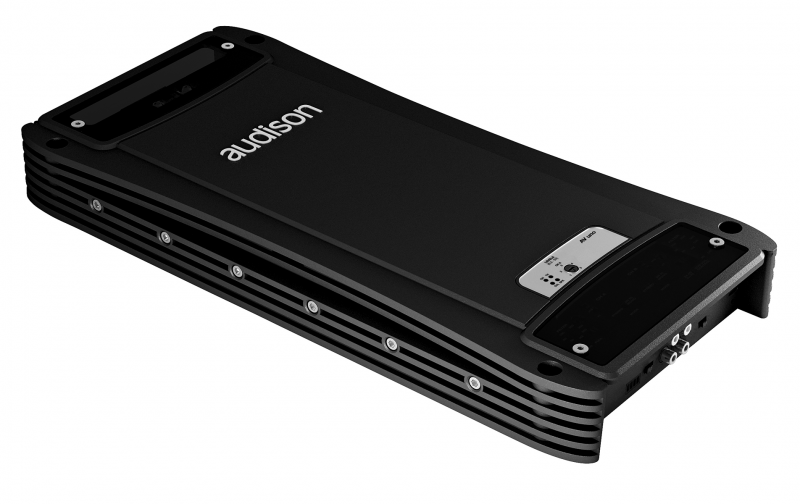 AV uno allows to combine the plus points, in terms of audio quality and robustness, of the AB Class traditional amplifiers with the efficiency of the D Class amplifiers. AMP (Amplifier Management Processor) constantly checks the operating status system and communicates with the user through 4 different coloured LEDs, located on the top panel; ART (Automatic Remote Turn On-Off) allows automatic turn-on/off when a remote signal isn’t available from the source. 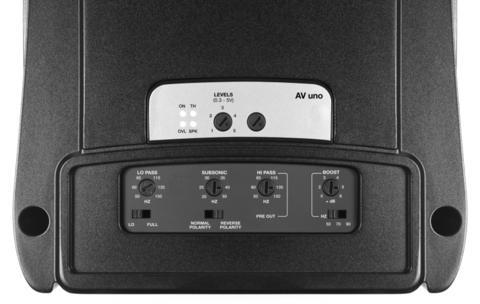 AV uno is a mono amplifier designed to drive the subwoofer but also suitable for high power Dual Mono systems.